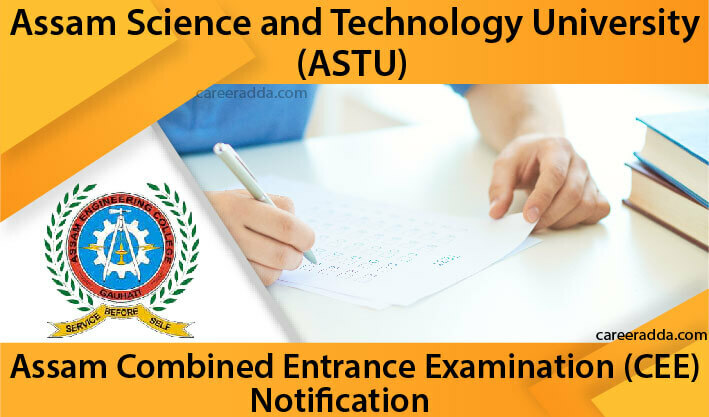 Assam CEE 2019 is going to be conducted by the Assam Science and Technology University (ASTU) for admission into 1st semester of BE / B.Tech. programme for the academic year 2019-20 in the engineering colleges of the State of Assam. The examination will be held on April 29th, 2019 at nearly 9 centres. Eligible candidates can fill and submit online applications from March 1st, 2019. Submission of online applications can be done up to March 20th, 2019. Candidates going to apply for Assam CEE 2019 should aware of few important things such as date of release of official notification, eligibility criteria, application form, process, fee & mode of payment, selection process, admit card, examination date, time & centres, result etc. Assam CEE 2019 official notification will be released in the month of March 2019. Once released, candidates can read and download it from ASTU’s official website i.e. https://astu.ac.in. Before applying online, each candidate must go through official notification to check and confirm eligibility conditions along with other important things. An applicant should be an Indian citizen and a permanent resident of Assam. Candidate’s age should be in between 17-21 years as on August 1st, 2019. For B.Sc. passed candidates, upper age limit will be 22 years. 3 years of relaxation in upper age limit will be applicable for candidates belonging to Scheduled Caste and Scheduled Tribe. Interested candidates should have passed the qualifying examination in the subject of English, Physics, Chemistry and Mathematics with at least of 50% marks (45 % in case of SC and 40 % in case of ST). An applicant should be mentally and physically fit and have a good moral character. 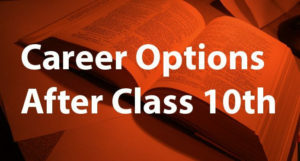 All the candidates who want to apply for Assam CEE 2019 should have to pay a fee of Rs. 600/- as their online application fee. Applicants can pay their fee through a Credit Card / Debit Card or Net Banking facility. Submission of fee can also be done by depositing cash at any Branch of State Bank of India. To make payment through this mode, a candidate has to generate a cash deposit form while attempting final step of online application. It is confirmed that Assam CEE 2019 will be held according to the latest syllabus of Assam Higher Secondary Education Council/NCERT. Assam CEE 2019 will be held in offline mode i.e. pen & paper based test. Paper will consists of three sections and each section will have equal number of multiple choice questions i.e. 40. Paper will be of 3 hours duration. 1 mark will be deducted for each incorrect answer and 4 marks will be given for each correct answer. Paper will have MCQs in both English and Assamese languages. 40 Sets, Relations & Functions, Trigonometric Functions, Principle of Mathematical Induction, Matrices, Complex Numbers & Quadratic Equations, Linear Inequalities, Determinants, Permutations & Combinations, Applications of Derivatives, Continuity & Differentiability, Integrals, Binomial theorem, Sequence & Series, Straight Lines, Applications of the Integrals, Conic Sections, Introduction to 3D Geometry, Differential Equations, Limits & Derivatives, Linear Programming, Mathematical Reasoning, Statistics, Probability, Inverse Trigonometric Functions etc. Physics 40 Kinematics, Physical World & Measurement, Work, Electrostatics, Energy and Power, Laws of Motion, Motion of System of Particles & Rigid Body, Gravitation, Current Electricity, Properties of Bulk Matter, Thermodynamics, Behaviour of Perfect Gas & Kinetic Theory, Oscillations & Waves, Magnetic Effects of Current & Magnetism, Electromagnetic Induction & Alternating Currents, Electromagnetic Waves, Dual Nature of Matter & Radiation, Communication Systems, Electronic Devices, Atoms & Nuclei etc. Chemistry 40 Classification of Elements and Periodicity in Properties, Structure of Atom, Some Basic Concepts of Chemistry, States of Matter: Gases & Liquids, Thermodynamics, Redox Reactions, Hydrogen, Equilibrium, s-Block Elements (Alkali & Alkaline earth metals), Some p-Block Elements, Hydrocarbons, Coordination Compounds, Environmental Chemistry, Solid State, Solutions, Electrochemistry, Chemical Kinetics, Surface Chemistry, General Principles & Processes of Isolation of Elements, Alcohols, Phenols & Ethers, Organic Compounds Containing Nitrogen, Chemistry in Everyday Life, Polymers etc. From April 9th, 2019 onwards, candidates can download their Assam CEE 2019 admit cards from the University website. The candidates can obtain their admit card by filling up their user name / application form number as well as password generated during the online submission of application. Assam CEE 2019 will be held on April 9th, 2019 from 11 am to 2 pm at the following Examination Centers- Dibrugarh, Jorhat, Nagaon, Tezpur, Guwahati, Lakhimpur, Nalbari, Bongaigaon and Silchar. Answer key of Assam CEE 2019 will be uploaded by University on its official website after conducting examination. 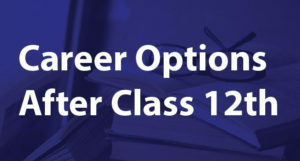 By going through answer key, candidates can evaluate their expected score in the examination. Assam CEE 2019 result will be declared on May 10th, 2019. Candidates should know that Assam CEE 2019 result will be available only in the online mode. To check Assam CEE 2019 result, a candidate has to enter his/her roll number @ University’s official website.